Enjoy the fun, the laughs and the music of the glory days of rock and roll with a knockout cast. Rock of Ages is a hair-raising good time featuring the music of Def Leppard, Foreigner, Journey, Poison, Twisted Sister and more. Special Features If You Build It, They Will Rock It - A look at the historical significance of the real Sunset Strip in the '80s and how they shaped the design of the 'Bourbon Room' in the movie, Any Way You Want It Music Featurette - Featuring Mary J. Blige, Constantine Maroulis and Julianne Hough, Def Leppard - Live at the Premiere. Steve Zahn, Paul Walker and Leelee Sobieski star in this chilling, over-the-top thriller. 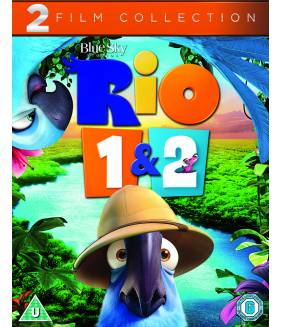 Stalked by..
Rio 1: Feel the rhythm...hear the beat...and let your spirit soar! 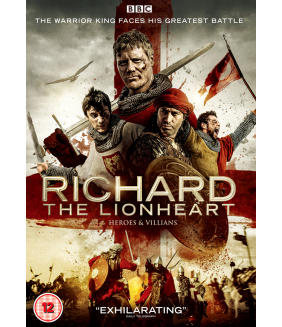 From the makers of Ice Age comes ..
Steven Waddington stars in this historical drama retelling the journey of Richard the Lionheart. Aft..